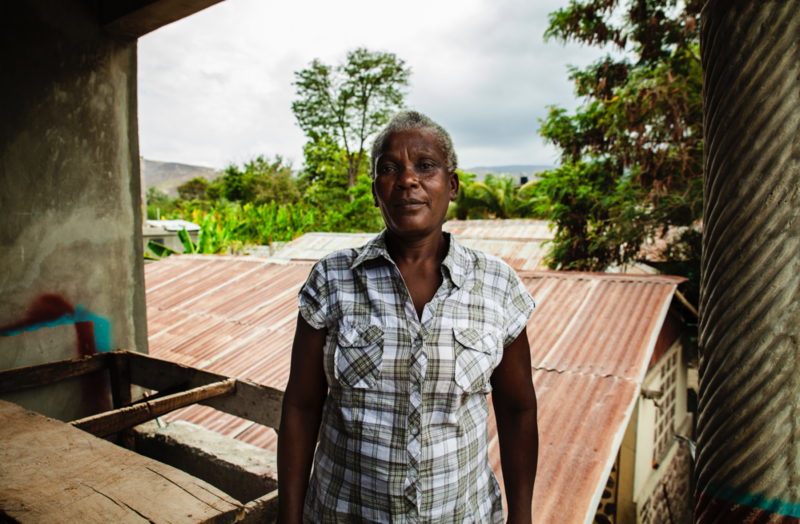 FINCA Canada approached us with one simple challenge. 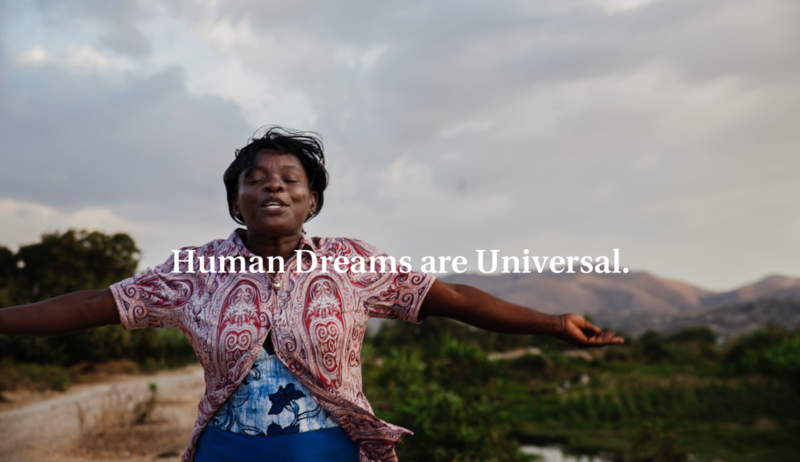 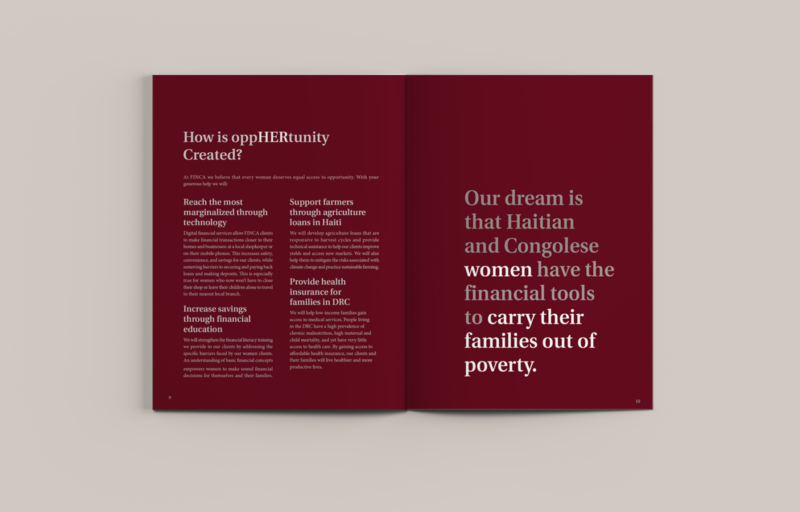 Unearth and illuminate the importance of the contribution of Haitian and Congolese women in their native lands. 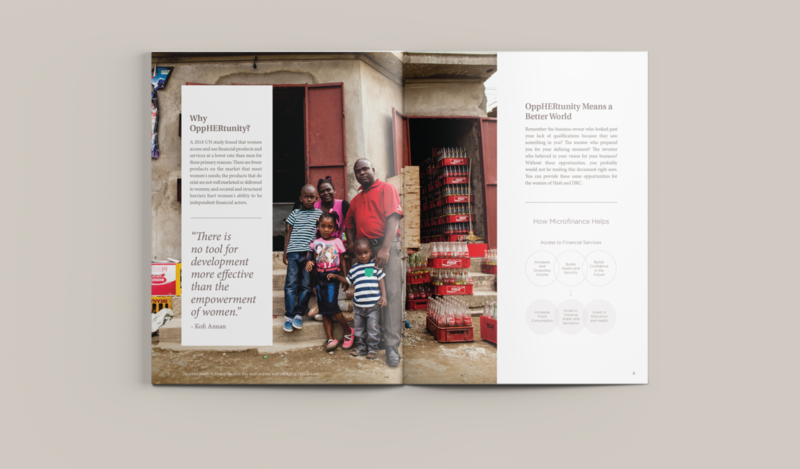 This meant that they would entrust us with the development of their annual giving campaign brand and collateral. 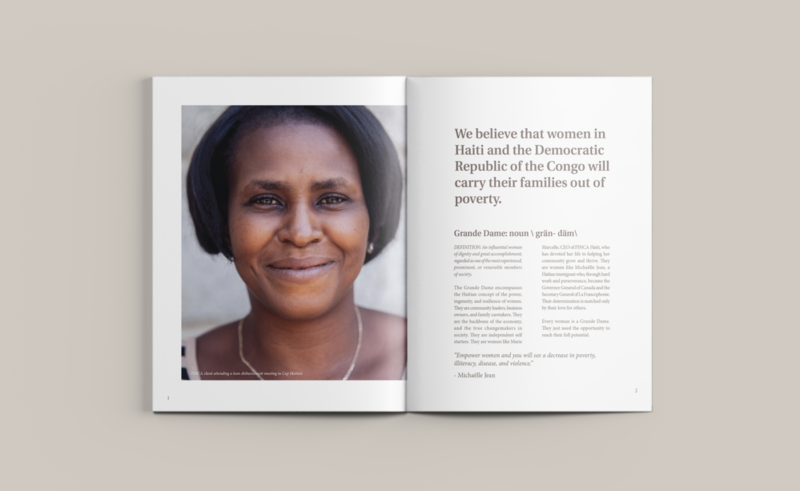 Our solution was to develop a memorable campaign that would inspire people to focus on HER. 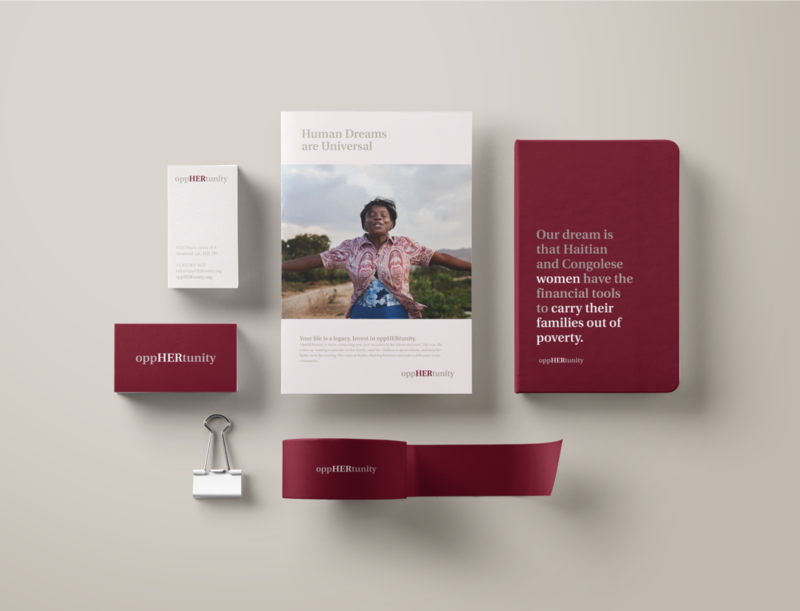 We developed a campaign name that put women at the forefront of the story. 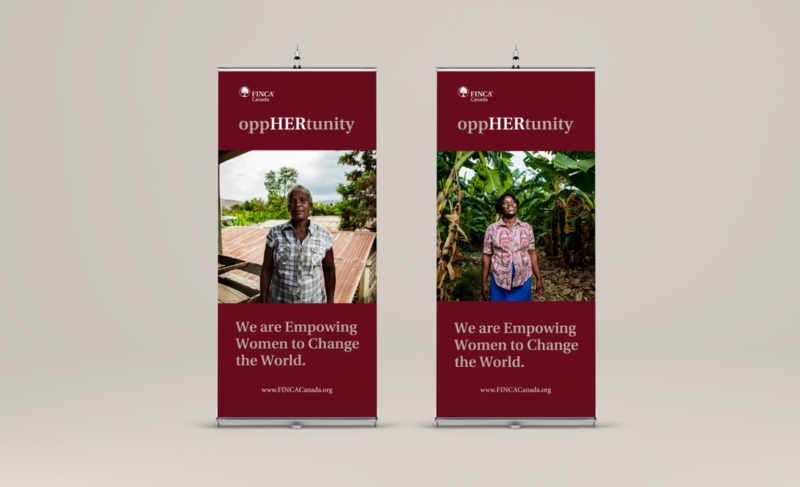 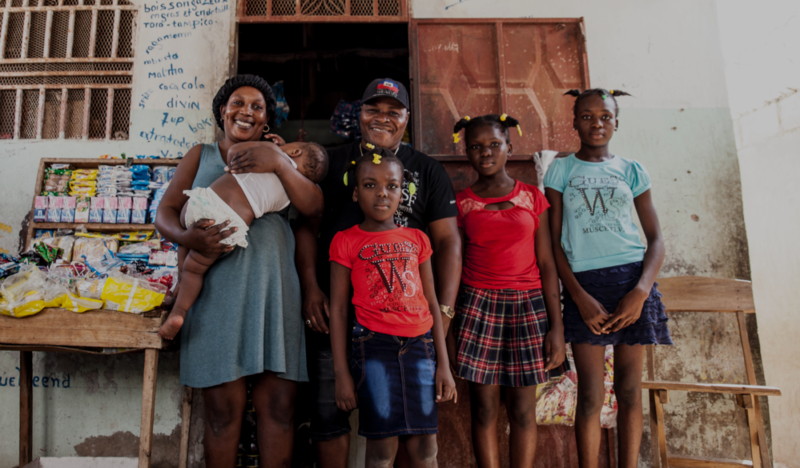 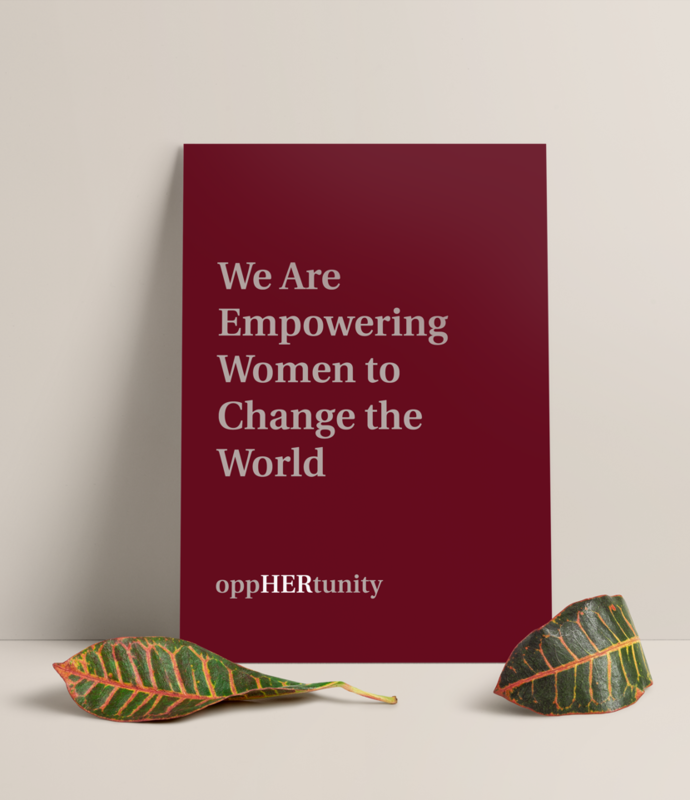 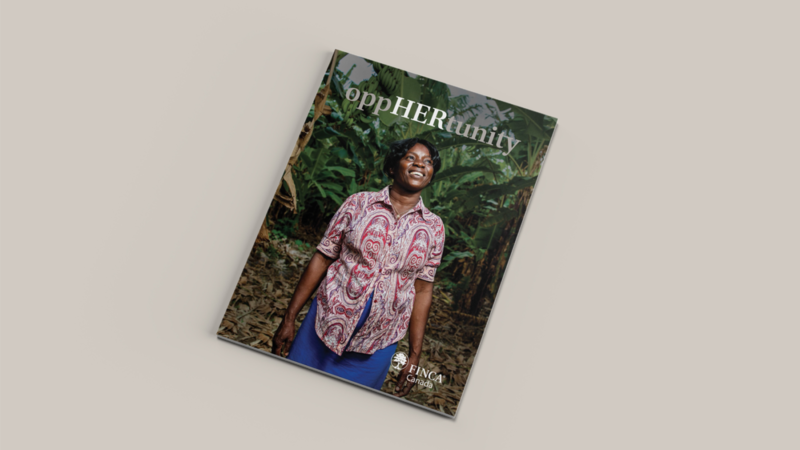 We developed “OppHERtunity” FINCA’s annual giving campaign, anchored on the importance of the female contribution to the economies of both Haiti and the Democratic Republic of the Congo. 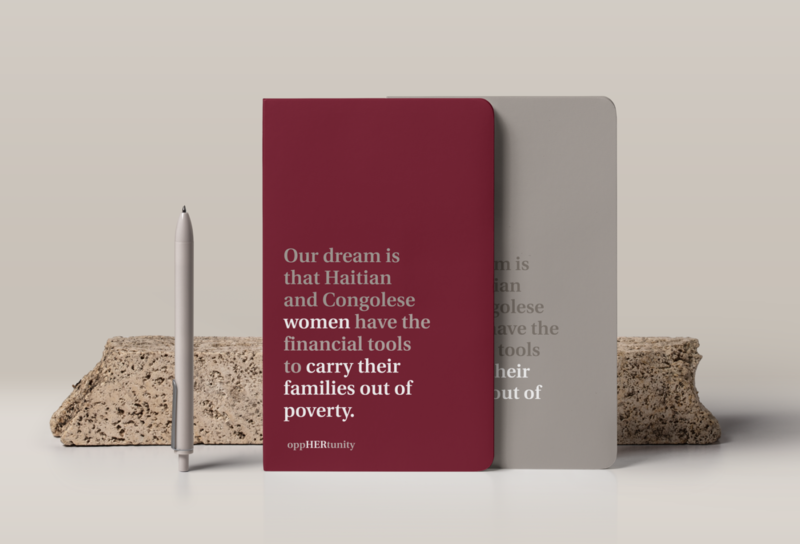 As a part of the campaign we crafted the visual identity systems, ushered them through our Soul Branding system to create their Soul Guide, wrote the copy and executed design for their case for support collateral, and boarded a plane to Haiti with our film crew to craft beautiful images and film.